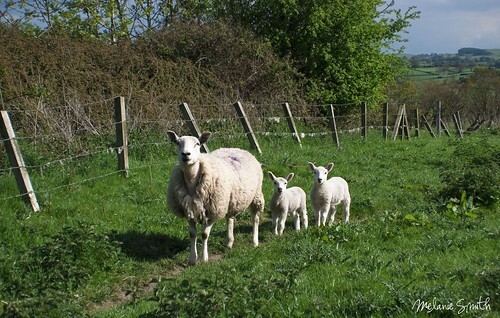 It’s the Easter bank holiday weekend and what better way to spend it than languishing in a different kind of way in North Wales. I thought I’d see what it felt like to be incarcerated (purely in the name of art), so firstly we visited the historic town of Ruthin and into the local Gaol. "The Old Country Gaol or jail was constructed in 1775, designed by J Turner to serve the whole of Denbighshire. 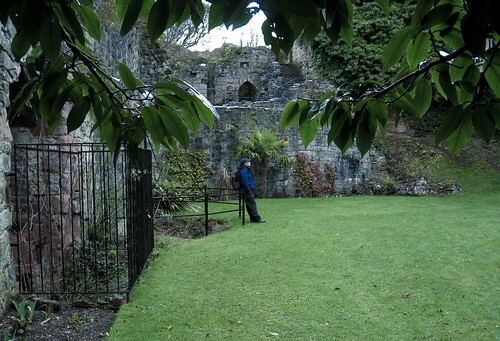 It is believed, however, there has been a gaol of sorts in Ruthin since the 14th century. 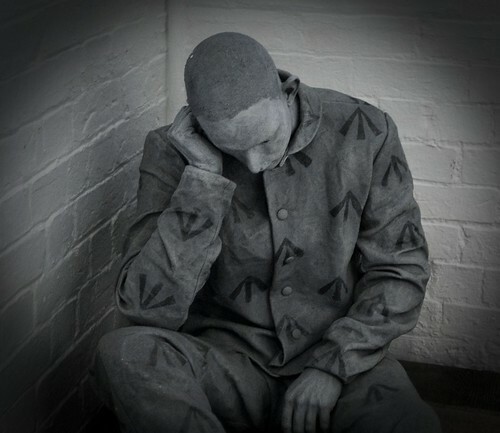 The last execution took place at Ruthin Gaol in 1903 and the building closed as an active gal in 1916." 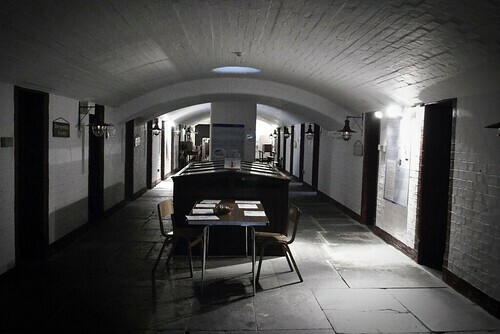 Downstairs is one floor of cell doors most housing a variety of interesting artefacts and stories, such as the Governors room, the two bath rooms, the last man hanged at Ruthin and the story which lay behind that. Up the stairs we had the main Pentonville style prison with three floors of prison cells, no entry is allowed on the top floors as it houses all the records. I could spy cell no 13 above me and I wondered what unfortunate soul lived therein. 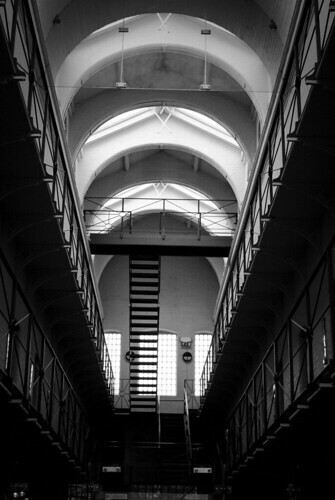 The great thing about the place was that we were handed a remote of some kind which gave you a talk about each room you entered, although many of times I had to stop it as they did go on a bit.It was a pity we weren't allowed onto the floors to actually see inside one of those cells. It's kind of the reason I wanted to visit, the last place I visited of this kind was Alcatraz in San Francisco.It was interesting on the final bit of the tour with the condemned man cell, with the figures of the lone prisoner with his priest saying his final prayer, waiting to be led to his execution. He was hanged here on 17th February 1903, and named as William Hughes, a Wrexham miner originally from Denbigh, for the crime of shooting his wife. It was reported that the last thing Hughes did before he left his cell was look at photographs of his family. Here he is looking very Solemn indeed, prior to his vist by the priest. Next stop on the agenda was the marvellous grounds of Ruthin Castle, which also doubles as a hotel (which I had previously stayed for one night in 2002). This in itself produced a ghost story of the ‘grey Lady’ kind, therefore I was keen to return and see if any other spooky things occurred. "Ruthin Castle was built by Edward I in the late 13th century. The castle was ruled by the Grey family up until 1646. Ruthin Castle (name derived from the Welsh words meaning 'red fort') abounds with legends and is one of the most romantic and historic castles in Wales and described by guests as "truly magical". 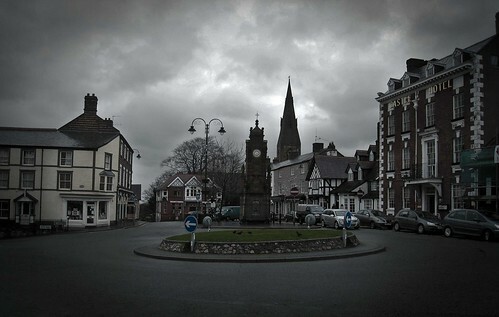 In the days when there was probably no more than a wooden fort on the site, ancient Ruthin has an Arthurian legend first found chronicled in the early 12th century and again in the early 16th century, based upon a relationship with Huail, a local chief. 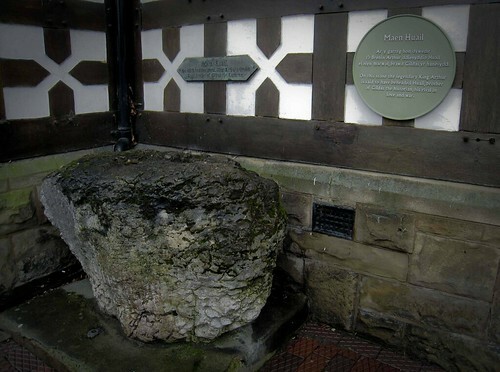 King Arthur had Huail beheaded, and the limestone block on which the execution was held can be found in the town square. A wooden fort appears to have existed on the site until 1277 when Edward I reconstructed it in local stone shortly before he built his famous great castles at Conwy and Caernarfon and granted it to Dafydd, brother of Prince Llewelyn ap Graffudd. In 1282 the castle was under the control of Reginald de Grey, reputedly the former Sheriff of Nottingham who had just raised 'the finest army in the land' and defeated ‘Robin Hood’ and his followers. During the following centuries the reddish stone structure evolved and the castle played an important role in the defence of the region, again forming part of the Crown Estate from 1508 until sold by Charles I in 1632 shortly before the Parliamentary forces of the Civil War made Ruthin Castle their first target in the area and seized control, later causing large parts to be demolished. In 1826 the modern castle was constructed and extended around, amongst and over the remaining ancient ruins.."
We wandered around the grounds of the hotel/castle, which are a actually ruins of a former castle and a maze of underground tunnels and steps (the former now closed off with gates), not a peacock in sight this time, but it was raining a little. Last time we came the grounds were positively overrun with them, fanning their wonderful colourful feathers out to all and sundry. There was a wedding ongoing so we didn’t want to hang around.We walked around for a good 15 minutes then headed back to the car. 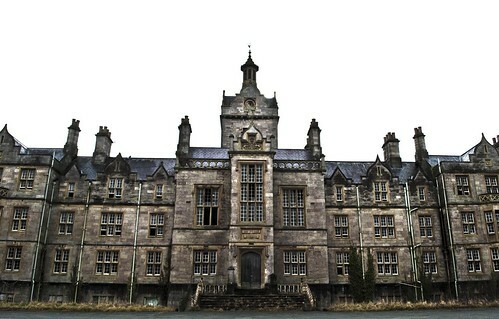 The final destination would be the greatest treasure - Denbigh Lunatic Asylum (also known as North Wales Hospital). 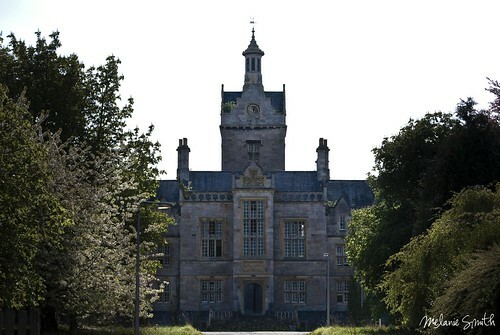 "The North Wales Lunatic Asylum was the first psychiatric institution built in Wales; construction began in 1844 and completed in 1848 in the town of Denbigh. 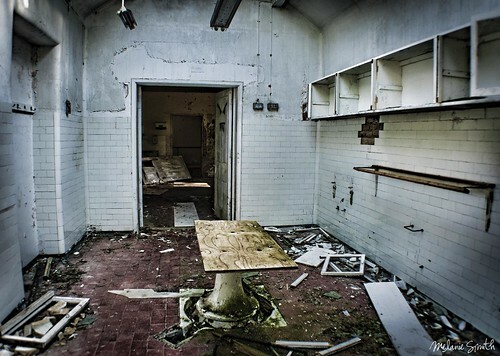 Renovations and extensions were made at the hospital from 1867 until 1956, when the hospital reached its maximum capacity at 1,500 patients living inside her walls and 1,000 staff at hand. Physical treatments such as Cardiazol, malarial treatment, insulin shock treatment, and sulphur based drugs were used and developed in the 1920s and 1930s, and 1941-1942 saw the advent of electro convulsive therapy (ECT) and prefrontal leucotomy (lobotomy) treatments." I used to live in Llandudno in 1976 and many of the locals would love to comment “he must be from Denbigh” when talking about someone a little crazy or mad. I had no concept at the time what this was all about. I was about to finally meet with this great beauty of a building. Initially we found it hard to find and drove past, instead finding the Cae Dai 1950’s Museum which had recently been burnt. John wondered where I was taking him as it looked forlorn and deserted, he remarked that it looked like somewhere you visited and never came back from. We didn’t stop to check as the Museum was in a state of disarray due to a recent arson attack. Apparently they do have or had interesting artefacts (until it got an arson attack) they had the lorry from the great train robbery. 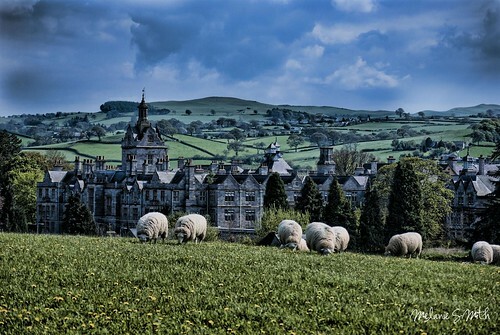 We moved onto the main drag, eventually seeing the glorious Denbigh building in the distance, amidst the wonderful scenery, the sheep grazing in the sunshine, all laid out like a landscape painting, before our eyes. Stunning period architecture and atmospheric. We headed in the direction, no way of getting down the side road to the hospital as there is a sign saying NO ENTRY - ALL TRESPASSERS WILL BE PROSECUTED. We spot a lone photographer take long telephoto shots from the road and ask him the way in. He tells us you can’t get in and the ‘bearded one’ (the guy who patrols with his Alsatian dog) is due any time now. Lo and behold here he comes driving his white van down the road. 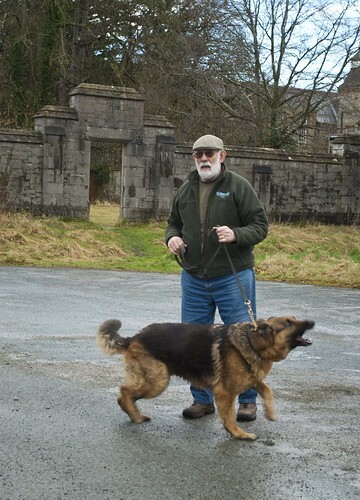 He stops to talk to this guy and we ask is there any chance of going to take some photos of the building, thinking not a cat in hells chance. Apparently this Mr Beardy can be aggressive and abusive so I wasn’t taking any chances this first time. After a little conversation and initially saying no, he finally agreed as long as we didn’t wander we could go in and take some outside shots, good enough for me. Not believing what we had heard we proceeded to follow him down the road, in through the gates (which he unlocked to let us in). He took off with his dog and van in search off “pikeys” which had been reportedly stealing from the building today. 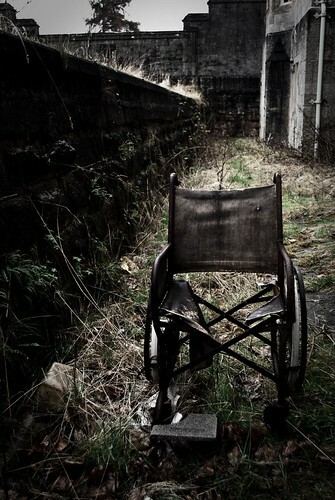 We were in there around 15 minutes, finding such creepy objects such as an abandoned wheelchair all rusty and decaying. 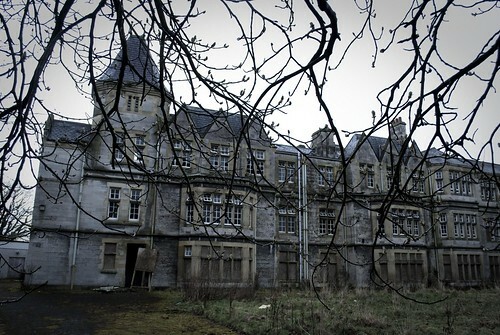 Most of the windows had been smashed and the whole enormous façade staring back at us, in an almost Harry Potter way. This must be the most photographed building of all urban explorers, and a ‘got to do’ for anybody wishing to visit an old abandoned building. I didn’t wander around for two good reasons, that beardy and his dog scared the life out of me and it is really creepy, all boarded up at the front with just a little access to some storage space under the front stairs, even that gave me the willies. The actual site is huge and we only saw the front and sides of the building, we didn’t venture too far. (another trip came on the itinerary, so we went back for another adventure, here are a few more photos, the Morgue below for one.) 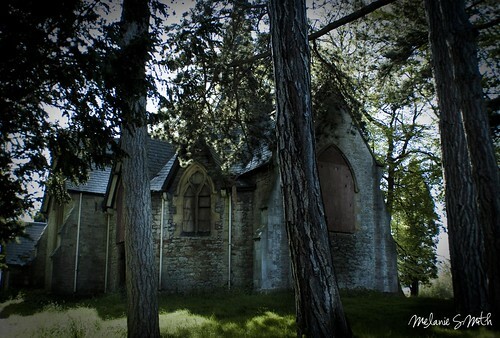 There are many buildings towards the back, most interestedly is the Morgue, the chapel and the old wards. I believe many of the floors and ceilings have now given way and it is very dangerous to explore unless you know what you’re doing. All in all a great day out in North Wales. Here's to more urbex exploring. 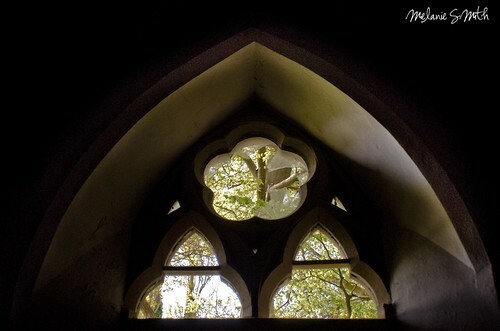 The Chapel - abandoned and sad to see destroyed by vandals, but somehow still remains beautiful in its decay.